New for spring/summer 2015 Rapha has launched its new Aero range including the Aerosuit and Aero Jersey. Born out of their relationship with Team Sky comes the new Aero Suit and Aero Jersey. Arguably similar to Castelli’s Paris-Roubaix conquering San Remo speed suit, the concept is to combine an aero jersey and shorts into a single garment. 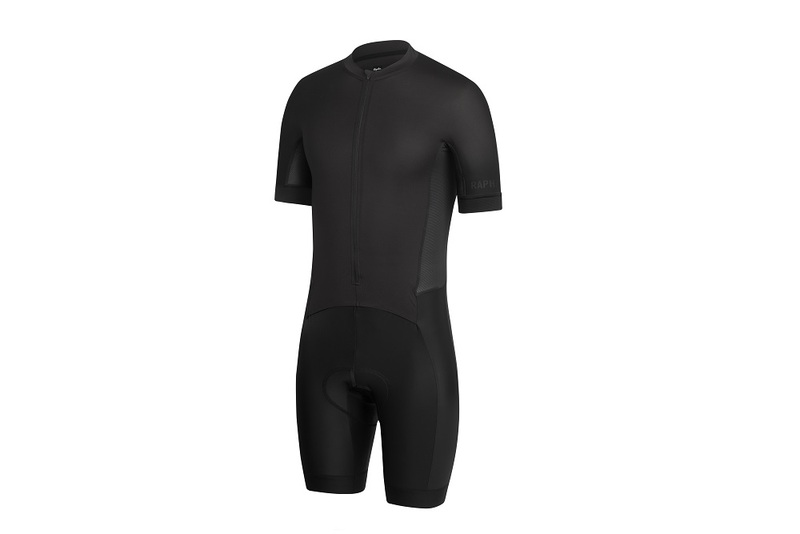 This combines the aerodynamic advantages of a skin suit with the practical advantages of a jersey. You have pockets for food and tools and toilet stops are considerably easier. A subtle difference from the Castelli suit is that the zip is not full length on the Rapha Aerosuit, leaving roughly two inches at the bottom. Rapha told us that this results in a better fit and avoids bunching on the chest. The Aerosuit will be available in black or the new Data Print that was unveiled earlier this year. 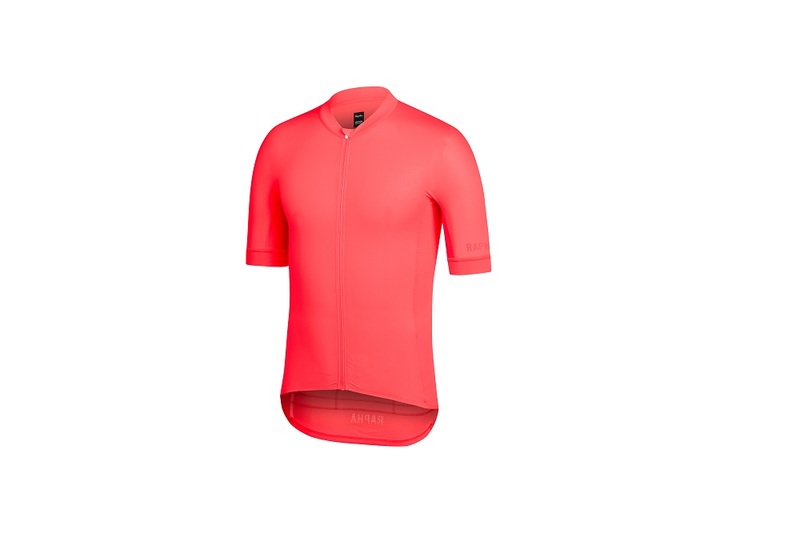 In addition to the suit there is an aero jersey, available in black, coral pink or green. The garments feature ‘Coldblack’ technology which is designed to reflect infa-red, keeping you cool regardless of the colour – meaning Sky riders can wear black without the worry of overheating. Much care has been taken with regard to placement of seams in order to minimise drag in crucial areas. The Aerosuit will retail at £230 and the Jersey is £130. In 2011 Johan Van Summeren rode to victory in Paris Roubaix with a flat rear tyre. His solo breakaway win was impart attributed to aerodynamic advantage gained from wearing a speedsuit. Will the new Rapha Aero Suit give Sir Bradley Wiggins the edge in this years ‘Hell of the North’? 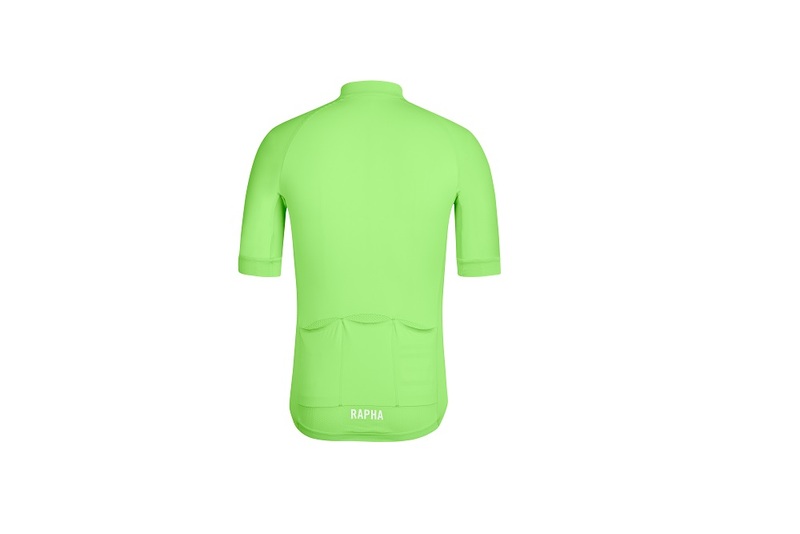 For more details on the range head over to the Rapha website.